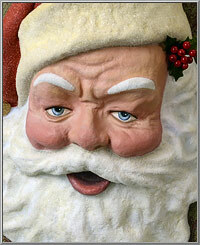 Our vintage Jolly Santa Claus head is a rare collectible treat that just turned 30 years old! 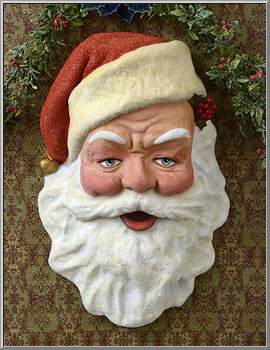 A nostalgic, extra-large wall decoration that was originally featured in Blümchen's Holiday 1987 catalog, we found a limited quantity of these Santa heads tucked away here in the attic at Chestnut Cottage. 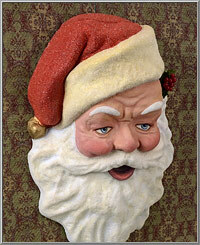 A charming depiction of jolly St. Nick, this grand showpiece is in wonderful condition. 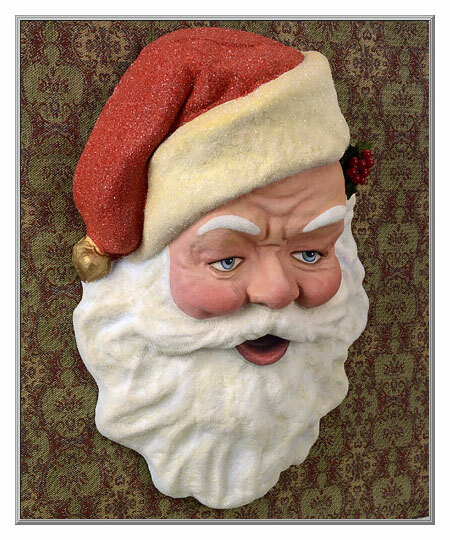 Produced in the U.S.A. using an original old mold that dates to the 1930's, this wall decoration is made of sturdy paper pulp, which is also referred to as "egg carton" paper mache. 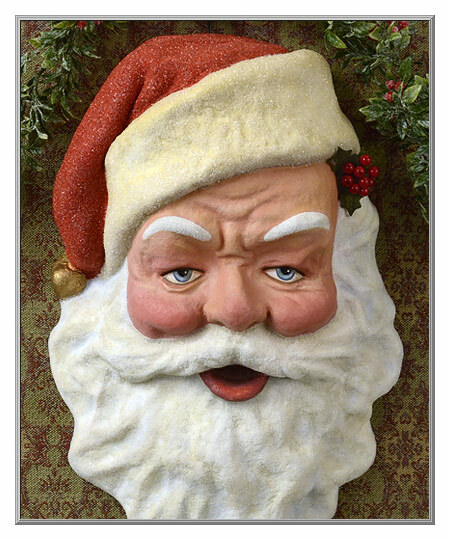 An exclusive of our atelier, the Santa Claus head was painted by hand, then finished with real glass glitter and a holly leaf sprig. 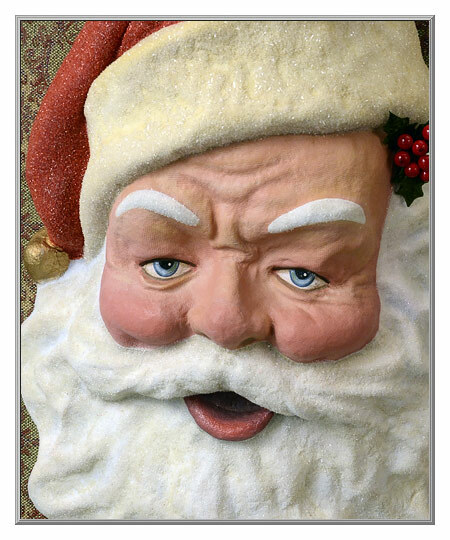 Sold as one Santa Claus head. by 11½" wide and is 5¼" deep.